Always a pleasure to be presenting and signing my books with other local authors for this monthly Alzheimer’s Nevada fundraiser. 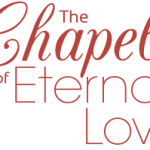 While I will be presenting and signing copies of my cozy murder mystery, Murder Aboard the Queen Elizabeth II ,I will also have on hand for signing, copies of The Chapel of Eternal Love-Wedding Stories from Las Vegas and Return to the Chapel of Eternal Love-Marriage Stories from Las Vegas. Sharing the program will be authors Nancy Nelson (Second Harvest: Blue. River. Apple. A Continuing Exploration of Alzheimer’s through Poetry), Arlene Cohen (Honest Mistakes:Short Stories),Brian Gardner (Plan for America and the World), Kim K. Henry (Luck:When preparation Meets Opportunity) Urbano Salvati (Terra Porkorum: The Planet of the Pigs), Heather Silvio (Lights, Camera, Action). On hand will be staff from Alzheimer’s Nevada to discuss, at no charge, any concerns attendees may have about their families and loved ones. Special thanks to Nancy Nelson for initiating these fundraisers, and to Debbie Vreech of Enchanted Forest for providing the venue. Do hope you can stop by and support this very worthy cause….and the gifted local authors.